Nintendo will be unveiling a Loot Crate style subscription service in the near future that will produce “N-Boxes.” As of now the service is limited to the UK only. According to MCV, “The ’N-Box’ will feature toys, clothes and other merchandise inspired by and branded with Nintendo icons such as Mario, Zelda and Pokémon.” Nintendo will operate this service through The Hut Group that runs a similar service called Zavvi which is sending out a Nintendo themed box in September, there’s a chance some Zelda related goodies will pop-up in there as well. To hear more about the N-Box subscription and Zelda merchandise it may contain, hit the jump! The N-box will be open to three, six, and twelve month subscription plans, and according to some sources will be available on a one-off basis. Considering that Zavvi Z-Boxes usually contain merchandise like T-shirts, Pop vinyl figures, and themed postcards there’s a lot of potential for what Zelda merchandise may appear in the N-Boxes. The merchandise will have to be licensed by Nintendo, but in that case big fans will already have much of what is offered. 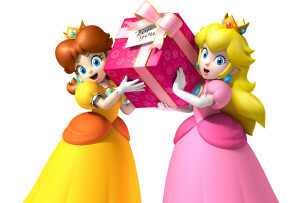 Hopefully Nintendo will create some exclusive merchandise that can only be found in N-Boxes, that’d be a good way to keep subscribers happy as well as attract new ones. Are you excited about this new service? Do you think it is a step-up from Club Nintendo? Are you hoping the N-Boxes make their way to countries outside of the UK? Let us know in the comments!